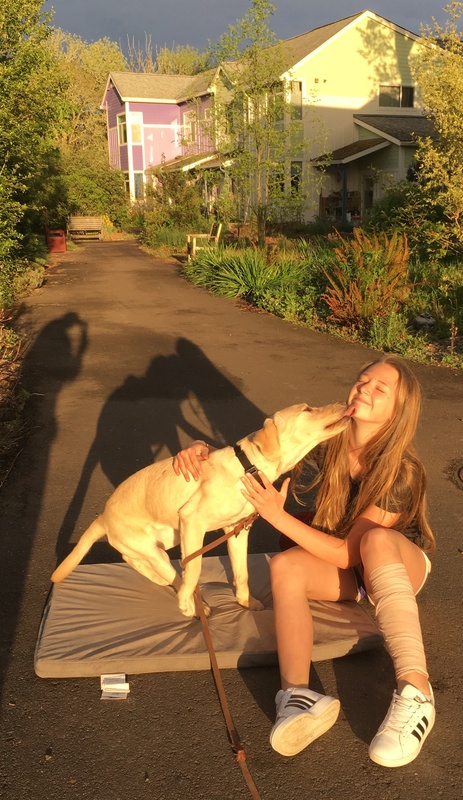 From Jodi, proud Mom: As a part of her Waldorf 8th grade project presentation this week, Katie made a slideshow showing different aspects of raising guide dog puppy “Dill.” Katie and Jodi (who is an talented dog trainer) will have Dill through January or February of next year. Watch Dill’s story here. 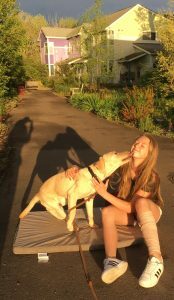 When Dill makes it into guide dog school, she will be the second guide dog who got its start at CoHo! See Libby’s farewell for a peek into Katie’s earlier inspiration. Posted in Celebrations, Children, Pets, The Path, Then & Now, Uncategorized.